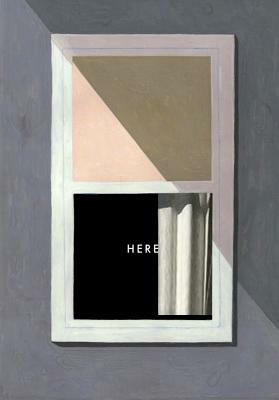 Richard McGuire is a regular contributor to The New Yorker. His work has appeared in The New York Times, McSweeney’s, Le Monde, and Libération. He has written and directed for two omnibus feature films: Loulou et Autre Loups (Loulou and Other Wolves, 2003) and Peur(s) du Noir (Fear[s] of the Dark, 2007). He has also designed and manufactured his own line of toys, and he is the founder and bass player of the band Liquid Liquid. The six-page comic Here, which appeared in 1989 in Raw magazine, volume 2, number 1, was immediately recognized as a transformative work that would expand the possibilities of the comic medium. Its influence continues to be felt twenty-five years after its publication.